This past summer, we spent some time exploring spots along the Fox River. Of course, that familiar craving for coffee called. 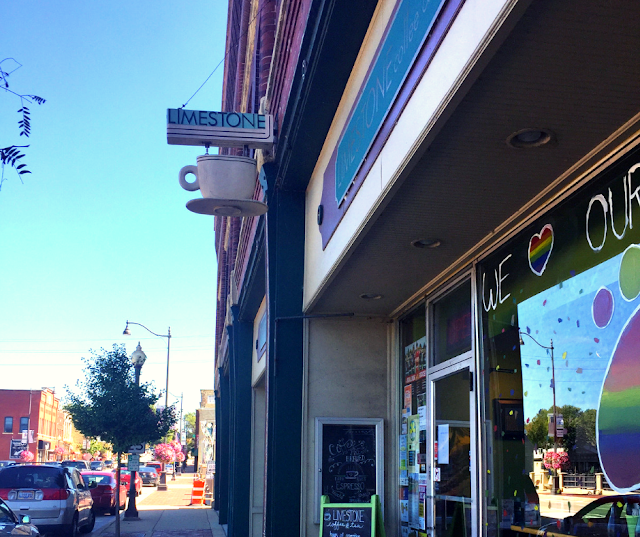 We happened upon Limestone Coffee and Tea, an adorable coffeehouse in Batavia's historic district. We were immediately smitten! 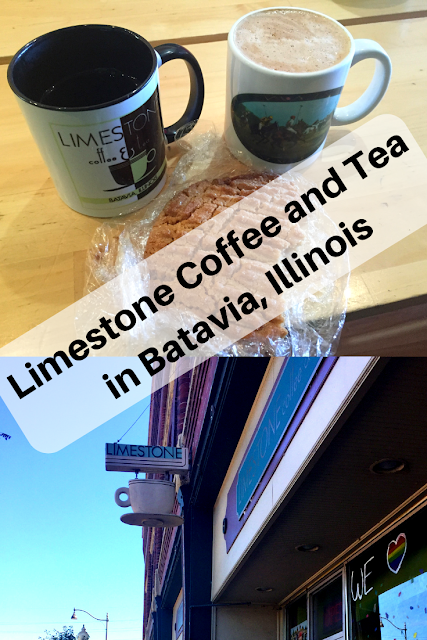 Even though I was there for my favorite mocha latte, I fell in love with Limestone because they also had loose leaf tea. When I say loose leaf, I actually mean that they had plenty of choices of loose leaf. So, I will need to try some when I return! 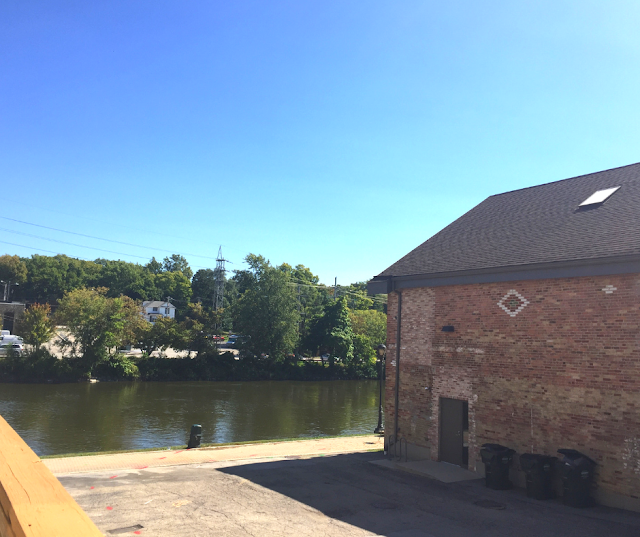 Limestone also has plenty of fresh baked goods and a light menu featuring freshly made quiche, sandwiches, soups and salads. We were not particularly hungry on our visit, so I definitely need to return to enjoy some quiche! 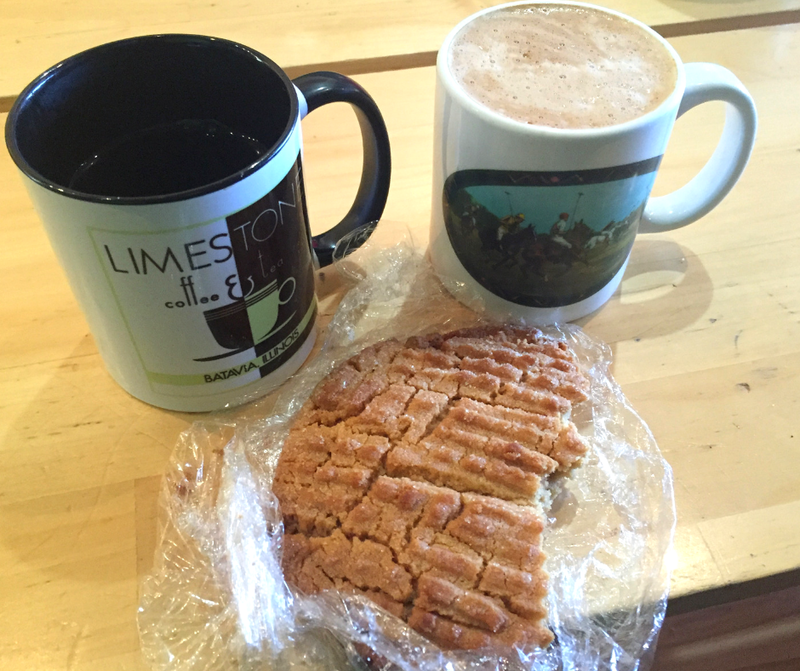 Coffee mocha latte and peanut butter cookie goodies at Limestone. We ordered a mocha latte (for me, of course), a HUGE peanut butter cookie and a coffee (for the hubby). As you can tell from this photo, my daughter already began nibbling on our the delicious cookie before I took the photo! Wonderful treats!